Chaos is reigning supreme over at Games Workshop lately. That's the book they're pushing, so that's what figures they're releasing for 40k. 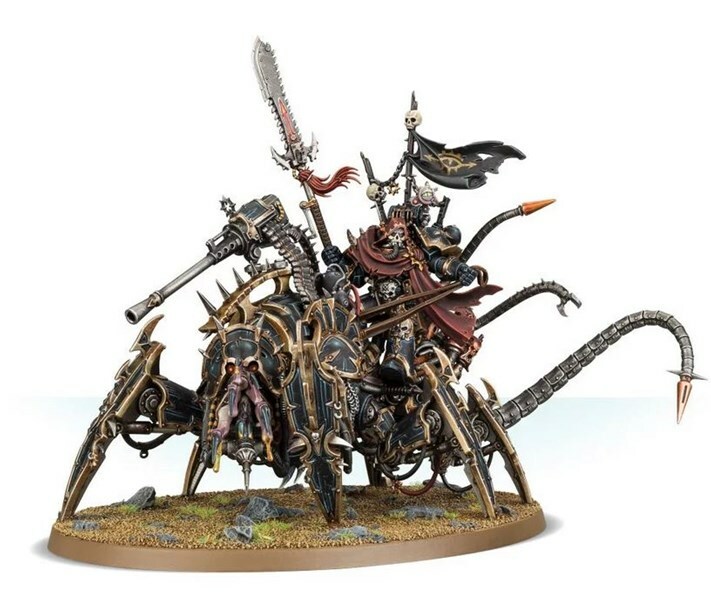 In this instance, arachnophobes and technophobes are having their worst nightmare come to life on the tabletop with the Lord Discordant on their Helstalker mount.